As an RV renter you may be wondering, where do I begin? 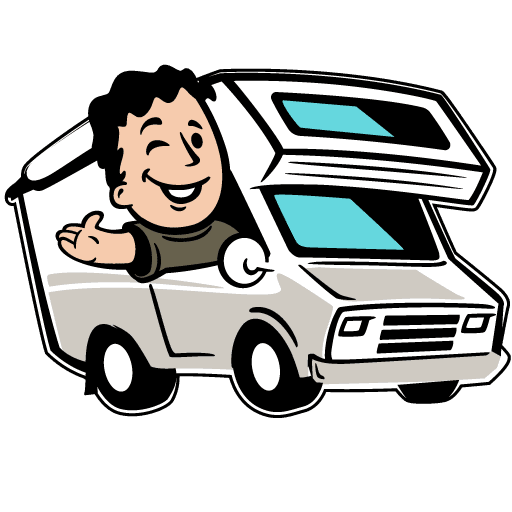 Whether you are interested in learning about RVs, curious about the RV lifestyle or simply need a budget-friendly vacation, Happy Campers is the place to start. We are locally-owned, family-friendly, and proud to offer a variety of Class C, RV rentals in Bend, OR. The following information will answer questions about our renting process. Please contact us or stop by during our office hours for any additional questions you may have! Happy Campers takes pride in providing the cleanest Class C rentals and best deals to our clients. These vehicles are fairly large, usually measuring around 30 feet long. Most of our rentals can fit five riders comfortably, but some can fit as many as seven; perfect for families or groups of friends. Our pet-friendly RV rentals also offer a number of great amenities—including a Keurig Coffee Maker, fresh linens, heated shower, toilet paper, and RV Starter Kit! A common misconception about renting an RV is that there are a lot of strict requirements. This is not the case; renting an RV is similar to renting a normal car and most first-time renters find the requirements to be no-brainers! For example, you will need a driver’s license to rent an RV. Traveling from abroad? That’s okay, bring your international driver’s license and passport on the pickup date. Contact our rental staff or drop by when you’re ready to book your RV. Our rental staff is also a great resource if you have questions about rental unit sizes, payment options, or where to travel during peak seasons. Payment can be made by credit card, cashier’s check, money order or cash. Spring break and summer are booked quickly. Plan ahead by reserving your RV early! There is no denying the cost benefits of renting an RV over a hotel, especially if your destination’s hotels are seeing high demand. The trade-off is a bit of planning needed prior to your departure. We recommend researching and booking your campground ahead of time. Additionally, while you may have a destination in mind, the RV lifestyle is about the journey so don’t forget to plan for what you can see along the way. Below, you will find helpful resources that offer point-to-point trip planning and nationwide directories of RV parks and campgrounds. At Happy Campers, we’re all about convenience. We offer free parking (1 vehicle) on our lot during your trip, a one-hour, RV orientation session, and test drive. Pick up occurs on the day of your reservation; appointments can be made between 12pm-3pm. The RV lifestyle provides a comfortable opportunity for creating memories with loved ones. Happy Campers wants to make sure those memories are created safely. We recommend educating yourself on RV safety, including RV laws, driving at night, and sharing the road with other vehicles. Our Rental Guide and websites like, RV Safely, are excellent resources for first-time renters. Adventure is out there and all you need to do is find it! When the time comes to drop off your rental, please do so by 11:00 am, with a full tank of gas, to 62955 Boyd Acres Rd. Bend, OR 97701. Our entrance gates are locked after business hours, but your vehicle will remain accessible 24/7. Beaver Coach Sales and Happy Campers are not responsible for any damage or theft. You’re now educated on Happy Campers RV rental process and are ready to set out on a new adventure. We look forward to working with you!